Walt Disney World offers some fantastic resorts, but every once in a while (or much more often than that), we just need a nice resort to sleep since we plan on being in the parks all day. Location and amenities don’t mean nearly as much as the Disney dollars we have to spend. The Walt Disney World Value resorts are great options for these cases, they are fairly reasonable in cost, offer fun, nice rooms plus huge pools. 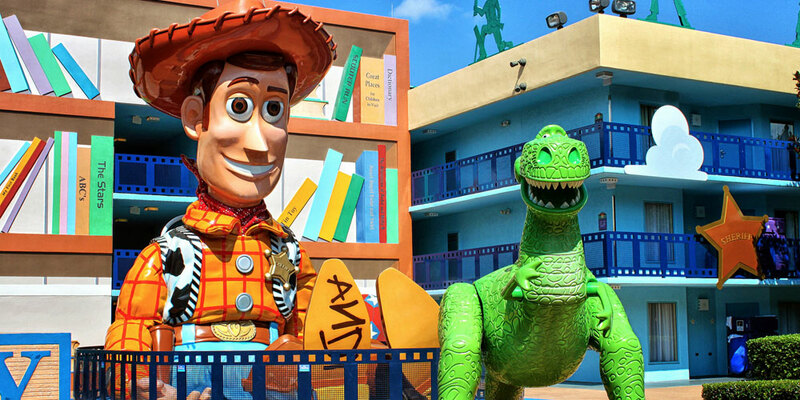 Disney’s All-Star Movies is one of our favorite Walt Disney World Value resorts, and here are our top three reasons why you should consider staying there. Disney Movies! 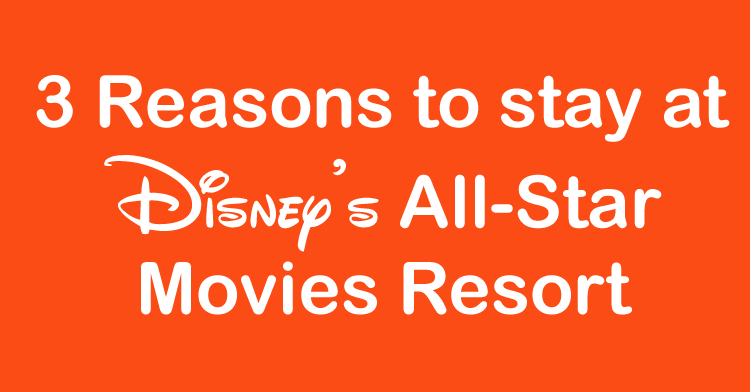 – Of course, All-Star Movies is the resort home to Disney movies. If your family loves Disney movies, this is the place for you. There are 5 themed areas at the resort, each section a different Disney Movie. You can choose between Toy Story, Fantasia, Herbie Love Bug, 101 Dalmatians and Mighty Ducks. Personally, I love the Toy Story area, it is one of my favorite movies and the oversized Buzz Lightyear and Woody are fantastic. Fantasia Pool – The main pool at Disney’s All-Star Movies is the Fantasia Pool, themed after the classic Disney animated movie Fantasia, of course. Complete with conductor Mickey spouting water everywhere. At the Fantasia Pool, there is also a great water play area for the little kids. If you don’t want to hang out at the Fantasia Pool, there is a second pool over in the Might Ducks section called the Duck Pond. The Duck Pond is a quite pool, and tends to be much less crowded and noisy that over at Fantasia. BTW, did you know if you are staying at one of the All-Stars you can pool hop at any of the other two? Just walk on over to the pools at All-Star Sports or All-Star Movies just to change it up a bit. World Premiere Food Court – My favorite Value Resort food court is at All-Star Movies. I really like the new one at Art of Animation too (Landscape of Flavors), but Word Premier is still better. World Premiere is set up like a mall food court with 7 different stations, all serving different types of food. Plus, don’t forget that you can refill your drinks (coffee, tea, soft drinks, hot chocolate, juice and milk) as many times as you want during your meal, which is a great deal! Also, don’t forget the room service pizza delivery. While it won’t be the best pizza you have ever had, it is quite good for those nights when everyone is too tired to go out. What is your favorite reason for staying at All-Star Movies?